It was carved and carried by a soldier of the Queen Dowager's Regiment. 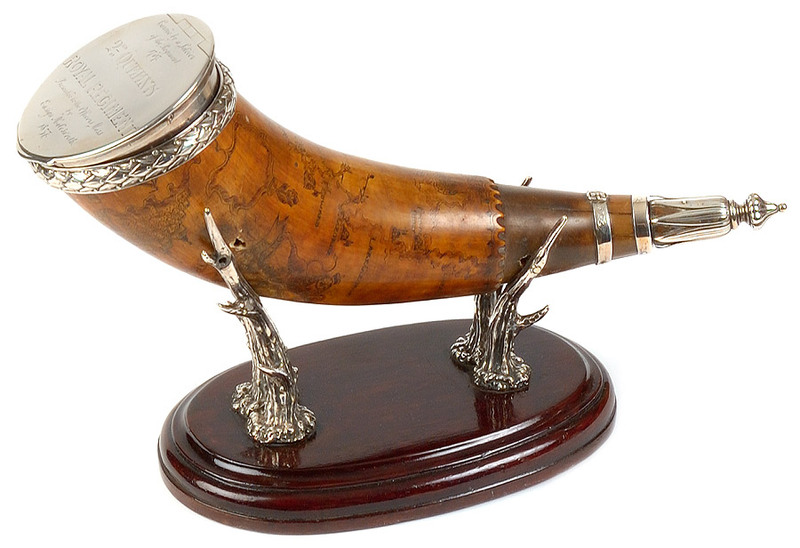 It has a map of North America in 1707 carved into the horn. It was purchased by an Ensign Holdsworth of the Regiment. He had silver embellishments added and it was mounted on a wooden base. He presented it to the Officers' Mess in 1837.